We hope you will enjoy using this mid-century designed home office desk. 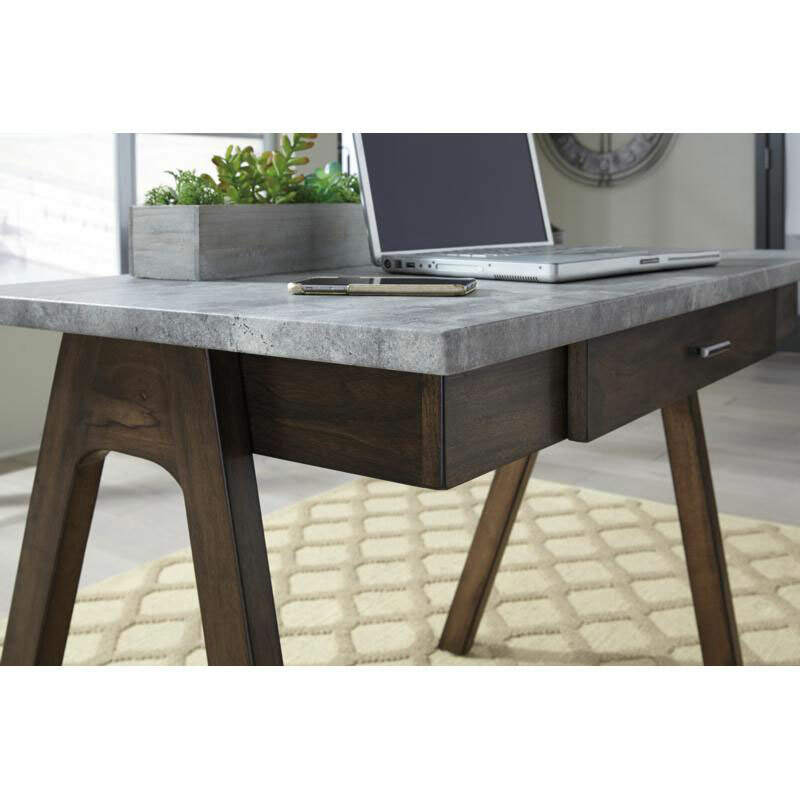 Faux concrete top is contrasted with the desk’s rich walnut-tone finish. Clean lines and compact size. Walnut veneers and select hardwood solids.